The computer could be a very positive step towards education, organisation and participation in a meaningful society. 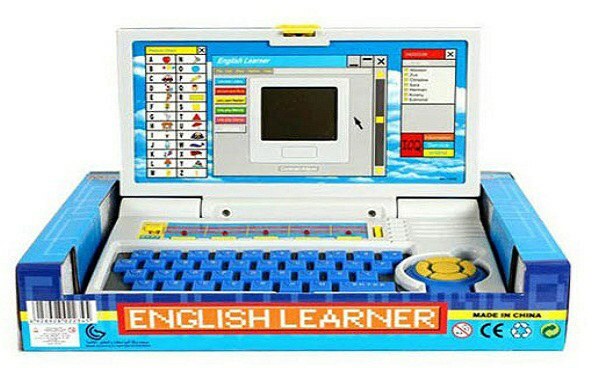 Take home this well-designed Kids English Learner Educational Laptop from the house of Shop and Shoppee. It comes with a LCD screen and a keyboard which make your child learn as well as enjoy games and activities at the same time. This toy laptop is an ideal pick for the kids who love playing various advanced educational games. Being advanced, the Shop and Shoppee Kids English Learner Educational Laptop teaches your little one typing in both capital and small letters. This educational game is equipped with many games that involve knowledge of mathematics and English. It will improve the cognitive and the interactive skills of your little one. This laptop for kids is designed to prepare them for school. 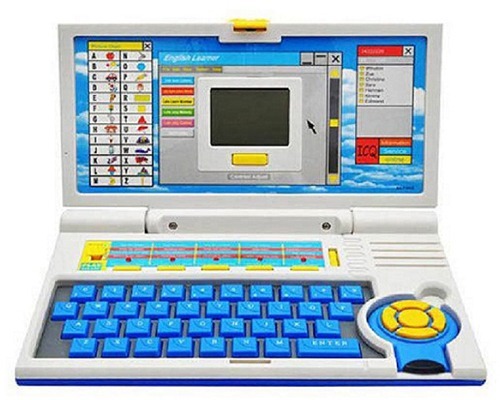 This Shop and Shoppee Kids English Learner Educational Laptop is made of premium quality plastic and is long-lasting. This educational game has a sleek body which is easy to fold as well. Being light in weight, this laptop is easy to carry. Equipped with a highly advanced gaming technology, this Shop and Shoppee Kids English Learner Educational Laptop works with batteries and function efficiently. Your little one can enjoy playing while learning at the same time. The laptop by Shop and Shoppee allows your little child to enter preschool with ample knowledge of speaking and flawlessly constructing sentences. The keyboard comes with various keys and buttons that can be used to follow the instructions and control the cursor while playing the games. The inbuilt music and sound are clear and detailed for your little one to follow. The instruction given in English allows him or her to learn better by listening. Click on “Buy it now” button to visit Snapdeal website. Browse for items you like on the Snapdeal website. Select an item and click on Buy Now. Login or Signup into your Snapdeal account. Enter your delivery address details or select one of the addresses already in your address book of Snapdeal account. Select payment method from Card/Netbanking/Gift Card Balance. You can also choose “Cash on Delivery” if available. Apply coupon if provided in the deal. Click on “Place your Order and Pay”, then complete the remaining process and your order will be placed. You will get an estimated delivery date for your product. Till then, sit back, relax and enjoy your discounted purchase on Snapdeal using ConfoDeal. Keep visiting ConfoDeal for more wonderful Snapdeal deals, coupons, discounts!